The North America legal process outsourcing market Size is driven by the increasing requirements of legal companies to obtain services at lower prices. The increase of workloads in law firms and governmental organizations will drive the adoption of these platforms in the U.S. on a large scale. These services provide cost savings, enhanced solutions to the legal problems, and improved service levels of the legal organizations, boosting the North America legal process outsourcing market growth. Companies in the region gain competitive advantages by outsourcing solutions and services to Asia Pacific countries including India, Taiwan, and other emerging economies at a very low cost. 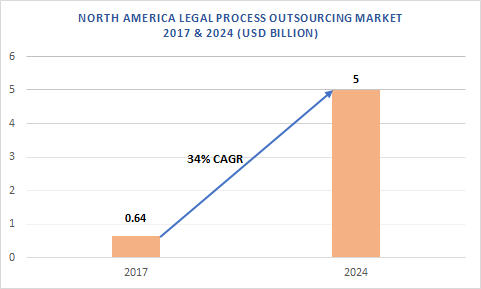 North America (LPO) Legal Process Outsourcing Market size valued at $640mn in 2017 and is projected expand at over CAGR of 34% from 2018 to 2024 as rising adoption of Internet-based activities in the legal sector will boost the industry growth. Patent support services in the North America legal process outsourcing market are expected to grow at a high rate owing to the high demand for these services. The services offer patenting benefits to the consumers supporting the Intellectual Property Rights and its management. The U.S. major players are focused on outsourcing the patenting services to save the employee cost and engaging them in other important business operations. Based on locations, offshore LPO has gained high popularity in the North America legal process outsourcing market. Offshore outsourcing has witnessed a demand in the recent years owing to the high labor cost in the country. However, onshore LPO services are still in demand in North America as it provides better control over data confidentiality and security issues. Onshore LPO services provide high data security and confidentiality to the companies along with signing several partnership norms and regulatory policies. A major factor leading to the demand for legal process outsourcing market is increased cost-savings and improved client relationships. 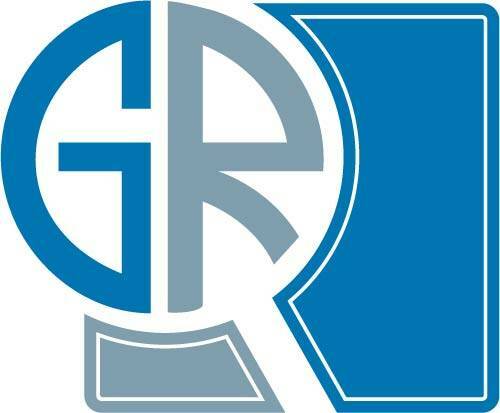 Prominent players operating in the North America legal process outsourcing include Clairvolex, Morae Global Corporation, CPA Global, Exigent, Infosys Limited, Integreon, Inc., Legal Advantage LLC, Lex Outsourcing, QuisLex, Mindcrest, and UnitedLex. The major companies in the North America legal process outsourcing market focus on providing cheaper but high-quality legal services by setting up the operational centers in countries including India and the Philippines.